I have worked with eating disorder issues for years. It is a notoriously difficult condition to work with and to help sufferers recover from. 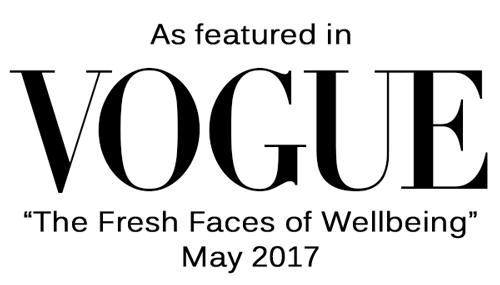 Emotional and psychological support backed up with good nutrition can help, but only if the sufferer wants to be helped and that’s what makes eating disorders so tough to work with, as the only way treatment can facilitate any kind of long-term recovery is when the patient genuinely wants the illness to end – this can take years and sometimes that time never comes. If you have any interest in eating disorders, if you know of anyone who is suffering anorexia, or if you are caught in the clutches of this incredibly destructive disease yourself, I strongly recommend you listen to the 15 minute Four Thought programme on BBC radio 4 which aired on Wednesday April 17th and is available on iplayer. The presenter, Emma Woolf, has battled anorexia and researched and written a lot about it. Her 15 minute broadcast briefly details her own struggles with anorexia and she raises the really interesting question of why so many of her friends and her sisters were able to go on crazy, faddy diets, stick to them for a while and then return to normal eating whereas when she started to diet in her teens she rapidly descended into full-blown anorexia. She goes on to reveal how new research in the field of neuro-science suggests eating disorders may be related to an anomaly in a small area of the brain called the Insula. 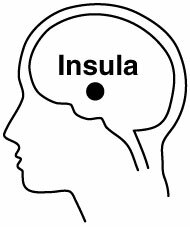 The Insula is the site for intuition, empathy and morality, marking human brains distinct from other animals. Crucially, it is also involved with social emotions such as disgust, self-loathing, anxiety and guilt as well as reading body states like hunger and cravings. It appears that an irregularity with the insula in eating disorder patients, which could be an inherited condition or may come from extended periods of stress, could explain why some people become victims of eating disorders when others do not. Maybe knowing it is a neurological malfunction, rather than a willful decision to self-destruct, will make it easier for those who are have an eating disorder and for the loved ones who helplessly look on and witness the suffering involved.